Solid Reiki research based on testing and verification. We are getting know different Reiki systems. This time we will take care about Reiki lotos chakra. This is about connection of Reiki system where healing flows to human bones, tendons and muscles. Chakra is often called lotos or tibetan system. How to start such type of spiritual journey? I have read and meditated what happens from indian, tibetan, chinese and japanese esotericist literature. This was at beginning when I did not understand very well and I didn´t know what was going on. Gradually, in ten years, I devoted to mandalas, chakras, and the geometric structures of Eastern teachings. I have heard lot of opinions about what the chakra is and what the lotus is. I have read lot of instructions about chakra. Of course, I realized that these are extremely old systems of meditation and fall into a period where everything was expressed in images and not exactly medical and logical. And by time of history, one master after another has grown and everyone in this system has added something own and unique. And the system has become more complicated and complicated. Then these systems were also taken over by Europeans and Americans and from lotus and chakra finally became some kind of unspeakable folklore, dead worship of chakra systems and we have to be careful about that. We want to practice real live systems and not cultivate religious worship. I just draw attention to this fact. And as I am thinking and logical person, I have returned to the beginning, saying that the lotus is water plant and used in India as a drug. And so I said that looking at the image of the lotus I made this drug on my tongue. I do not recommend taking this drug directly from the plant. It damages health and it is illegal. I have to write it here – that’s the law. And so I suggerate this drug on my tongue with the help of image and I started to produce it in my brain. This type of internal drug has started to work on the sternum and directly on the cartilage around the sternum, which is actually a rib. Somewhere here starting nerves of muscles from ribs to other bones and from there to muscles of whole body. I was inspired by the image of the birth of small Buddha from the lotus flower and I did a lot of meditation on this painting. Each of us has muscular muscles on the body. Under these big muscles are still sleeping spare muscles. Who knows little about pilates exercise knows that the creator of pilates had sick big muscles and their nerves, but he started exercising in pain and opened his spare muscles under big muscles. When you want to open them and have two types of muscles, you just have to grip one muscle as you walk, resist and move. Here’s the secret of some athletes, why they are more powerful than the other. And we still have muscles in the body like climbers that we call spirals and they are like micro-snail shells. They are activated by climbing ropes, rocks and trees. So we have three types of muscles. We have other types of muscles, but we will not discuss it here in detail. It is still good thing to exercise your muscles with your dumbells to pain and then they form lumps of muscles. And here we will penetrate by concentrated attention of all senses at once, open nerves of muscles and realize lotus-chakra system. It’s nothing complicated. It´s good to use the art of kinesiology to penetrate into nerves of bones. It’s a simple exercise. You stretch your hand in front of yourself and concentration goes on the deltoid muscle near your neck. From the brain, you imagine a certain movement in the images and individual muscles through that delta muscle must react and activate the nervous system in all bones. And then try it with your other hand. Then there’s a technique where you use a pendulum. You put a pendulum between your fingers. This is the art of clairvoyance techniques. If you can not do it yourself, then visit a kinesiology specialist. Thus, by concentrating all your senses into nerves of the muscles of the sternum, from the top to bones and gradually into nerves of each muscle. And you always start from the bone through the tendon to the muscle. You can try to connect yourself to individuals who have 5 times more muscle fibers on the body and reasonably more nerves. Such a person naturally initiates you on distance. Connect in the state of the shamanic mind. Such person is your Siamese twin on distance. Believe and do not deny. Alternatively, you can go for Reiki Tibet to the initiator and give yourself a consecration. Here is one problem. This is about what you want to flows in nervous system when it comes to your memory. Most often I have found that in nerves of muscles flows Tibetan religions and then Indian religious systems. And I logically rejected it. At the beginning I want to have in muscles nerves and thus historically the lotus-chakra, pulses which goes from the memory about healthy muscles, functional nerves of muscles, longevity of my existence and my own spiritual system. But it is up to you what you install there or let to be installed. It is important what runs in the muscles. In muscles and nerves of muscles run micro-movements. Imagine a movement and when you meditate, you implement this motion as a micro-motion. As if muscles twitched as if you really did it. I personally write to my memory everything what I say or read. This is the most commonly open system in eastern systems. This is not chakra folklore and playing on chakra meditation. This is not the religious worship of the lotus – the chakra of the Indian way. Kundalini Yoga is, according to Yogi Bhajana, a yogi tradition that combines meditation, mantra, physical teaching and breathing techniques. The main goal of Kundalini yoga is to stimulate full potential of human consciousness in each individual. It means recognizing our consciousness, tuning it and extending it to unlimited consciousness. Tapas is Sanskrit word that means “warm up”. It also mentions certain spiritual practices in Indian religions. In Jainizme refers to asceticism, in Buddhism to spiritual practices, including meditation and self-discipline; in certain contexts the term means repentance, devotional activity and severe meditation. Moksha means the end of the samsara (the cycle of life). This term is mainly used in Hindu religions and is very close to the term nirvana used by Buddhists. Although both religions aim at delivering from the samsara, each of them offer another way to achieve this liberation. Samsara is indication for the concept of rebirth, especially in the Eastern religions (Hinduism, Buddhism and Jainism). In these religions, this cycle of new and new lives is considered to be terrible, leakage is possible through knowing the true reality. Thus the state of “deliverance,” which the Hindu people call moksha and buddhists as nirvana, is achieved. Nádí is Sanskrit word and means a tube or a canal. According to traditional Indian medicine, the channels are energy channels through which the energy flows (prana). In traditional Chinese medicine, the term ‘meridian’ is used mostly for nadi. Shiva Samhita is a Sanskrit text about yoga whose author is unknown. In the original discourse, God Shiva addresses his female counterpart (sakti) Párvatí. Shiva Samhita is one of three most important classical writings on Hatha yoga. The mantra is a hymn or part of a text, especially of Vedas, abstracted or intoned as a frown or prayer, a word formula used for sound vibration, for example “aum”. It is their sound value and the support of the natural ability of the mind to calm down and concentrate on the sound vibration. Dzogchen, translated as “Great Perfection,” is, according to the teachings of Tibetan Buddhism and Bön, the natural primal state and essence of minds of all beings and at the same time also the instruction to realize that state. Egyptian lotus or waterlily is lasting aquatic herb with finely white flowers and circular floating leaves of the lily of the Nymphaeaceae family. It is a sacred plant of Egyptians and Asyrcans (initially dedicated to the goddess Isis). Anagarika Govinda, born as Ernst Lothar Hoffman, was a German philosopher, representative of Tantric Buddhism, one of founders of Western Buddhist meditation movement, contributed to a deepened understanding of Tibetan mysticism and is the author of the famous foundations of Tibetan mysticism. The Indian Lotus (Nelumbo nucifera) is aquatic plant of Nelumbonaceae family. It comes from an Indian subcontinent where it is often cultivated by Buddhists as a mystical plant. Hinduists worship it with deities of Vishnu and Lakshmi who often appear on the pink lotus in iconography. Using drugs will damage your health and it’s illegal. An active drug for Old Egypt and its rituals – Nelumbo nucifera also known as Indian Lotus, sacred lotus, is a water plant of lotus family. It comes from an Indian subcontinent, where it is often cultivated by Buddhists as mystical plant. People who have been verified by clairvoyance techniques and they have open real lotos in their muscles. Applied kinesiology is a pseudo-scientific method that deals with the diagnosis and treatment of physical and mental disorders and problem-solving in teaching children. With real, scientific kinesiology and therefore motion studies, it has nothing in common. The Delta Muscle is superficial flat skeletal muscle that hugs the shoulder joint. Its shape resembles a triangle which resembles the big letter of the delta. In man, it has the shape of a cone shell. The muscle is a clearly defined muscle tissue. Its most important component is muscle cells that have the ability to stretch – contraction and relaxation. We recognize 3 types of muscles – skeletal muscle, smooth muscle and heart muscle. How to deepen intuition. How to work with tarot cards. Practical experience. Pendulum and muscles. Automatic drawing. Reiki divination techniques. How to improve. Checking tonal tuning. Attunements. Improving divination techniques. Creating biological automats in neurons to divination techniques. Hypnosis and divination techniques. Bouldering is a type of climbing operated without ropes on small rock blocks or low rocks some meters above the ground. The name comes from English word boulder (“boulder”). At present, it gains great popularity especially among novice climbers. Even because of its lack of equipment and experience. Acupressure is a traditional Chinese treatment similar to acupuncture, based on the massage of sensitive points in the patient’s skin. The pressure is most often done with fingers of the hand or the blunt end of the pointed object. In some cases, it is also possible to change the state of health through heat and cold. Pilates is a method of physical exercise that was developed in the early 20th century by Joseph Pilates in Germany, United Kingdom and United States of America. Pilates was convinced that it is possible to use the mind to control (and manage) muscles. The aim of the Pilates method is to improve control over the body, strengthen it and improve its flexibility. The tendon is an anatomical structure composed of a rigidly arranged binder which in vertebrates forms a connection between the skeletal muscles and the skeleton. The tendons consist of bundles of parallel collagen fibers forming the binders. Smooth muscle is a muscle tissue composed of cells (myocytes) of an elongated, spindle-shaped, centrally-lined squamous core. Smooth muscle in humans forms the walls of most organs (mainly those of the hollow, eg intestine, stomach, small intestine). Smooth muscles also occur in the skin or, for example, in the prostate, uterus, ureter or eye. Climbing or alpinism is a sporting activity aimed at climbing and casting high hills and rocks. Climbing is to overcome rock and glacier mountain terrains (rocks, ice, mountains) climbing with climbing equipment. Mudras are important in interpreting many religious rituals, as part of some Hindu rituals. Some mudras are shown throughout the body, but for most of them, for example, only hand and fingers are shown. Chakras are points of connection between the body and the astral body. According to old Indian and Tibetan texts, there are 72,000 to 350,000 chakras. Seven chakras are referred to as the main energy centers. The marathon or marathon run is a 42,195 km long run, the second longest athletic discipline in the Olympic Games. The word marathon is also generally used to designate long and enduring demanding sports and other sports. This is a list of marathoners who are athletes remarkable for their marathon successes. Haile Gebrselassie is an Ethiopian athlete – runner, athlete running on medium and long runs, both on the track and on the road, but also in the cross-country run, a double Olympic winner running at 10,000 meters. Dennis Kipruto Kimetto or Dennis Kipruto Koech is a Ken trapper runner. He is the holder of the world record in the marathon and 25 kilometers. Paula Jane Radcliff is a British athlete, long-distance runner, holds a world record on the marathon track and several other world records in lesser official lines or at unofficial intervals. Kenenisa Bekele is an Ethiopian endurance runner who has become one of the world’s best runners-ups, a multiple gold medalist from major competitions and a world record holder. He is also the eleven times world champion in a cross-country run. Geoffrey Kirui is a Kenyan athlete who specializes in long-distance tracks. In 2012, he ran third in a 10,000-meter rally at junior world championships. His greatest success was the title of world champion in the marathon, which he´s got in August 2017 in London. 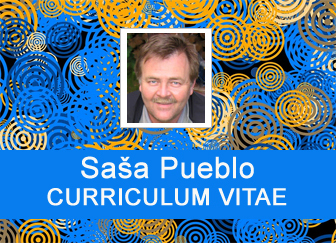 I was born on 4th of January 1960 in Slovakia, Europe. When I was 5 years old I fought for life several months and my grandmother who was herbalist and healer was helping me. She saved my life. I did not attend the school very often because I still had problems with lungs. But protestant pastor from neighborhood gave me basic education. My grandmother loved going to the church but I better loved Indian figures. My grandmother liked company of weirdos and homeless people. She loved to take care about them and I was there. I have always loved to grow plants, picked up herbs and I was environmental activist. I have decided to become polymath, educated in all natural, technical and spiritual sciences. I still continue in this trend of highly and integrally educated personality up to this day. Especially, I dedicate to all disciplines within medicine and I have different approaches to study them. I have decided to begin the path as healer and therapist. I used to pick up herbs, mushrooms, leafs and yields from trees and bushes. I made homeopathic, herbal teas, different types of homemade herbal creams and tinctures. Nowadays I practice distance healing without the presence of treated person. I also practice special exercises called basic physiological exercises and it is training of special movements for persons in higher age. I manage the group of people in age over 60 who regularly train such exercises. I care about issue of sleeping, hypnosis, autohypnosis and suggestions applied in distance Reiki without presence of the patient. I have practiced active distance healing since 2013 and in this area I take care about 100-120 people who are under my long lasting care. I also actively practice SRT system and I help related community of enthusiasts for SRT therapies. I have created system of clairvoyance performances in the area of health, psychology and relationships. I execute such performances by clairvoyance techniques on distance without the person who is treated. I use clairvoyance techniques to perform medical, psychological and psychiatric tests. I have connected such practices with medical laboratory values. I am also interested in mysticism applied into religious systems. I have strong interest in everything what could be built during the life and what could be transformed into the world of dead memories. This is the issue of the Holy Sepulchre. My specialty is interest in building artificial intelligence in robotics. I focus on building bio intelligence in human body and especially in the cerebellum, linked to the Kabbalah. I am ready to exchange experience and knowledge. I communicate in English language. 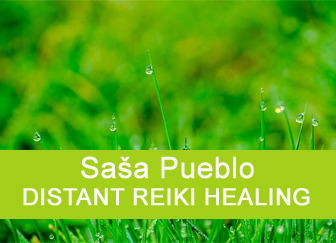 Contact: sasapueblo@meditacia.sk. I will answer quickly and especially to every email. I have been working in spiritual sphere over 20 years. I have realized research in different areas of spirituality over whole world. I am objectively engaged to spirituality and esoterism. I went through spiritual world by clairvoyance techniques and many videos helped me to go through different forms of spiritual meditations from prehistory to nowadays forms of meditation. 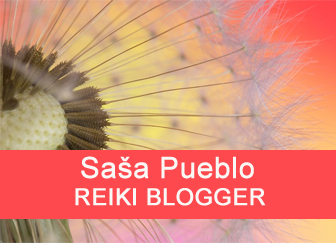 In year 2014 I decided to implement practical esoterism and spirituality on Reiki platform. I had feeling and logically emerged that this will be good thing. I wanted to publish my articles in English language. Circumstances helped me that one girl with excellent English knowledge came meditate to me. My desire was to get my articles translated by the person who actively meditate. And it has become small miracle and we have translation which is a great thing. We gradually test individual Reiki systems and we make a record of them. The record is processed, translated to English and posted on this site. I hope that our articles will bring you joy and new insights. I encourage you to use: https://translate.google.com/m/translate for translation. I also do Reiki attunement and consecration to all degrees. I do attunement to different kinds of Reiki. I specialize mainly in distant Reiki attunements and their gradation. Distant consecrations require testing and verification. By testing I examine the quality of distant attunement. 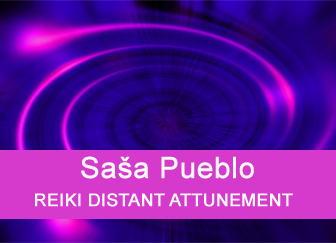 It is good to repeat distant attunements several times and so achieve stronger Reiki stabilization. I do Reiki attunement which is free of charge. It is good to already have basic Reiki consecration classically in the presence of consecrated person and the initiator. Then my specialized Reiki attunement is more effective. As I have studied and trained the history of Reiki, I know how to return to original attunement of disappeared Tiandai Reiki school. I can test you whether your Reiki attunement has been done correctly and I am able suitably adjust it for you. To make full use of Reiki in my practice, I have adopted Reiki treatment to my healing services. In my case, I go through distant Reiki treatment without the presence of the person being treated. 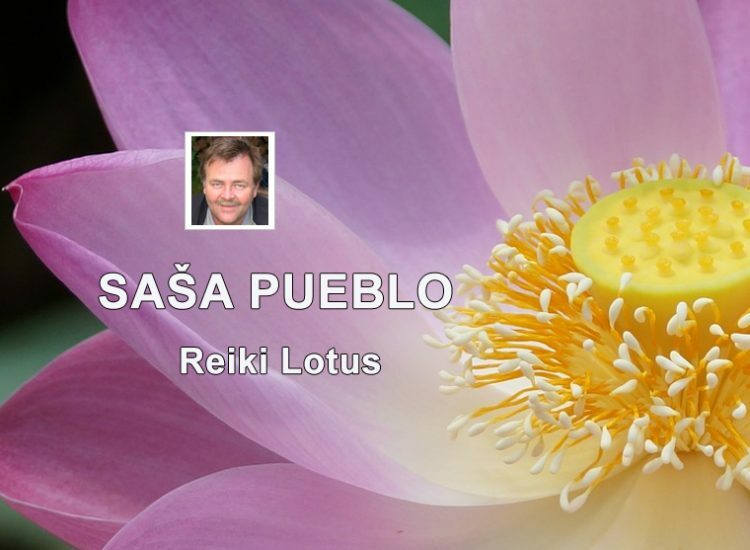 My nickname is SASA PUEBLO and I am administrator of Reiki Systems of the World. I'm trying to have good overview of Reiki around the world. 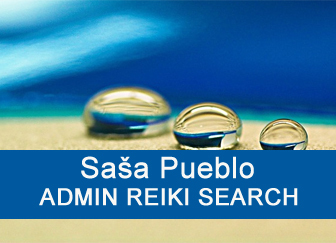 First of all, I collect Reiki search engines then individual types of Reiki over the world. It is good to have knowledge what happens in the world of Reiki who is involved and what people do in this area. Web Pages with Reiki contents are collected for the reason that we examine enthusiasts who do Reiki, why they do Reiki and how they do Reiki. At the same time, we also examine unique characteristics of representatives of each Reiki school by clairvoyance techniques. This is research to improve Reiki overall. We will not be personal, but we will publish clairvoyance research for the benefit of all Reiki enthusiasts. We also will create collections of Reiki music videos, symbols and forms of healing for you. You have a lot to look forward to. We are here to support Reiki. If you want to support us, to give us any idea and some web address, then please contact me on my mail.